Joe Deninzon is an amazing rock violinist whose reputation comes with a long list of credits, collaborations, education, and just learning through the humble process of trying to make it in the music industry. He has been labeled by some critics as “the Jimi Hendrix of Violin” and has worked with names like Aretha Franklin, Bruce Springsteen, Les Paul, and many others. He is a legend in his own right. 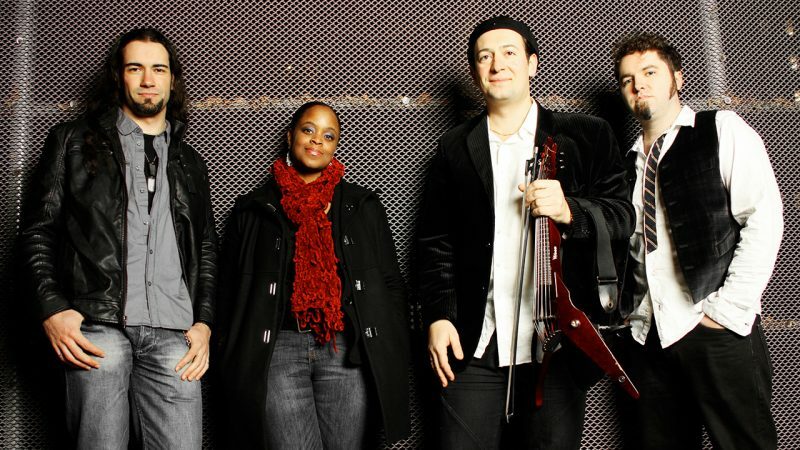 Deninzon is also lead singer and violinist for Stratospheerius, a progressive rock band that lives on the edge of funk perversion and jazz fusion, a taste of the wilder life. The band has released five CDs and made a tremendous music together. Recently, the group released a new single and video for their cover of Muse’s Hysteria. The energy behind the track and video are a clear indication of Joe Deninzon’s admiration for Muse. Deninzon and Stratospheerius not only do Hysteria the justice it deserves but pays homage to Muse through the raw energy infused in the track. It’s a song that works well with Deninzon’s perfect vocal delivery and skills as a violinist. Stratospheerius is as tight as ever and really creates a strong organic melody comparable to the original. Bravo! This is music!